Chili season is back (finally! ), and aside from being delicious and comforting, there are a ton of benefits this versatile meal has to offer. In addition to requiring very little effort to prepare, chili recipes are perfect for experimenting with new and exciting ingredients. You don’t have to spend hours in the kitchen to create a tasty meal. Prepared in just ten short minutes, our Green Valley Original White Bean Chicken Chili is a super easy way to get a nutritious and delicious meal on your dinner table. Prepare to be amazed by this seasonal chili that uses canned pumpkin puree. Creamy, smooth and subtlety sweet, this chili is unlike any other. Tied together with various beans, diced tomatoes and other healthy veggies, your entire family will adore this meal. While potatoes aren’t a traditional component of chili, they make for a delicious and healthy addition. 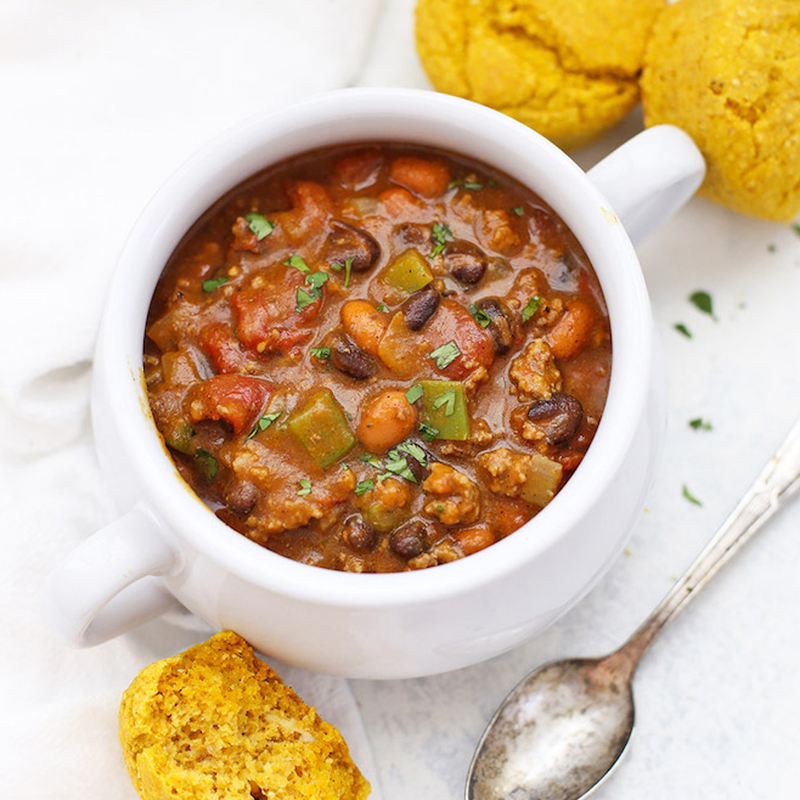 Try it for yourself with this sweet potato and black bean chili recipe. Loaded with healthy protein and carbs, this variation will be sure to become a go-to when you’re craving chili. For a lighter alternative to traditional beef-based chili, try this yummy variation that uses lean turkey. Paired with high-protein red kidney beans and sweet corn, this recipe is a tasty way to provide your family with essential daily vitamins. When it comes to busy weeknights, our Quick Red Kidney Bean Chili is a total game changer. Prepped and ready-to-eat in just fifteen minutes, this recipe is the ideal choice when you’re looking to get a meal on the table fast. Best of all, it’s full of healthy protein and nutrients. 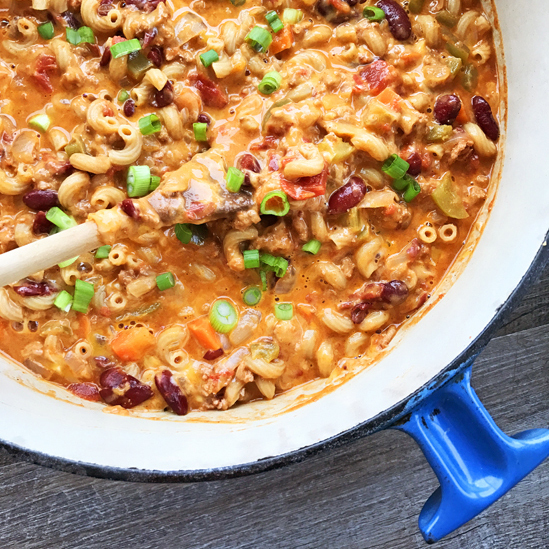 People of all ages will go crazy for this mac and cheese chili. Made with lean turkey, high-protein beans and whole wheat macaroni, this recipe much healthier than its classic counterpart. 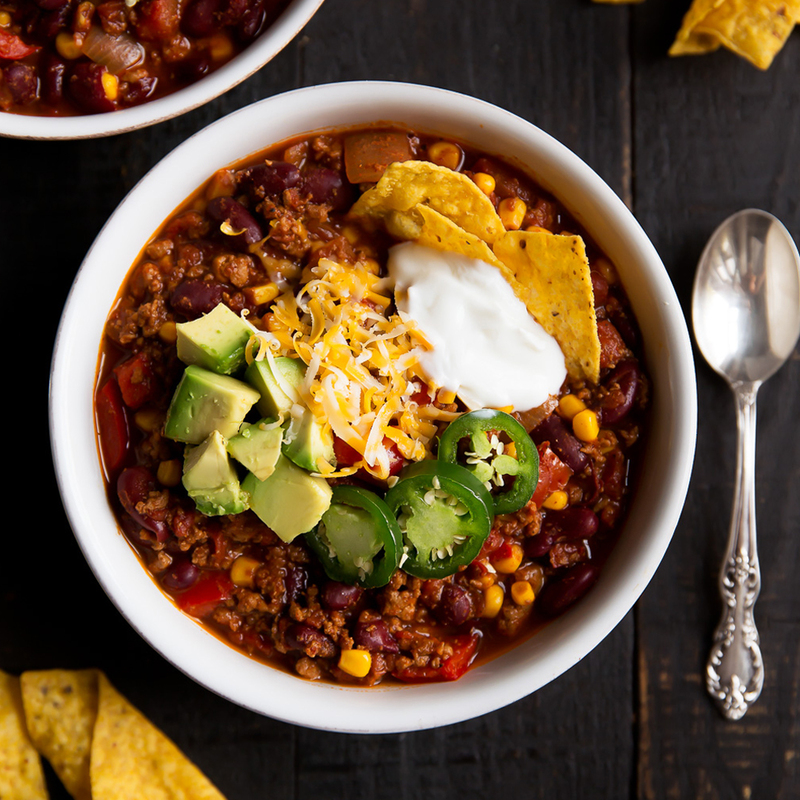 Whether you’re looking for the perfect recipe to win a chili cook-off or to simply impress your family, this out-of-the-box recipe will be sure to do the trick. Crafted from black beans, chocolate chips and toasted coconut, everyone will be shocked by this delightful sweet and savory combo. What’s your favorite chili recipe? We’d love to add it our collection! Share it with us on our Facebook and Instagram page for a chance to be featured.